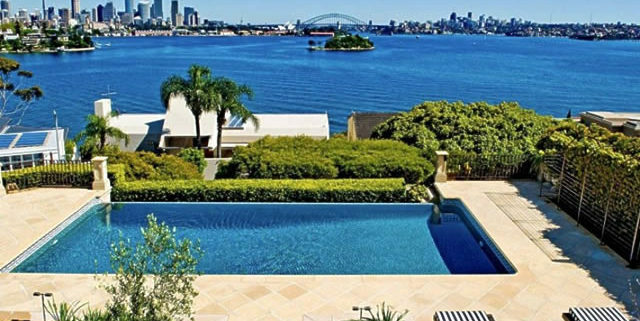 Mortgage Broker Sydney. Why choose ACA Home Loans? As a mortgage broker we specialise in finding and arranging competitive home loans for clients in all areas of Australia. While we are also able to arrange commercial loans on request, our primary focus is on helping individuals across the country to fulfil their home ownership dreams, by identifying the best mortgages on the market for their particular needs. As far as mortgage brokers in Australia are concerned, we are still a relatively small firm: a fact that works in our clients’ favour as we are able to provide a highly personalised service to each and every person who asks for our help. While larger home loan brokers may offer the same range of services that we do, they cannot match our flexible attitude and our ability to treat our customers as the individuals they are. When we say that we are relatively small, we should put that in perspective by adding that since we started organising mortgages we have settled over $2.75 billion in home loans and another $60 million in commercial loans. In terms of individual clients, we have helped more than 4,800 people to obtain a mortgage in Australia that not only met all of their needs but that did so on very competitive terms. With access to over 40+ established mortgage providers offering hundreds of home loan products between them, we are able to compete with the largest financial institutions as far as interest rates and other mortgage costs are concerned. We work closely with every client to identify their specific requirements and make sure that the mortgage products we recommend meet all of these requirements in the most cost-effective manner possible. When you first contact us, we will take the time to listen to all of your concerns and address each one before we start to scour the mortgage market to find the perfect loan for you. One of the reasons that we have so many repeat customers and enjoy one of the highest rates of personal referrals in the Australian home loans industry is because we view a mortgage as just one piece of the jigsaw puzzle that comprises your personal finances. In other words, rather than evaluating your borrowing options in isolation, we will tailor your home loan to ensure that it fits in with your long-term financial objectives. If all you require is a simple mortgage broking service and nothing more, we will, of course, be delighted to oblige. On the other hand, if you would like us to help you find a home loan that will make achieving your long-term financial goals much easier, we will be more than happy to do so. Our team includes highly experienced financial advisors who can assess your current position and your goals before proposing a plan of action that will help you to get where you want to be within a certain time-frame. As we mentioned earlier, there are many home loan brokers in Australia who will be happy to arrange a mortgage on your behalf so you may be wondering why you should choose us rather than one of our competitors. In addition to the reasons already outlined above, we would like to mention the fact that as a team, we are committed to finding solutions that meet our clients’ needs perfectly, rather than trying to persuade our clients to modify their requirements to fit a standard mortgage template. If you have special requirements that demand a personalised approach we will relish the opportunity to find a home loan that is perfect for you in every way. Identifying the very best mortgage packages in Australia for our clients and helping them to buy their dream homes is what motivates us to get up in the morning and go to work! Finally, as full members of the Mortgage and Finance Association of Australia (MFAA), you can rely on us to provide highly professional and independent advice concerning all aspects of home loans.